These sweet girls are from St. James High School. It was so amazing working with them and their amazing band director Charles Lee. I can't wait to come and watch you on a Friday night! I enjoyed my three days of majorette clinic time with these three amazing twirlers from Lutcher High School. 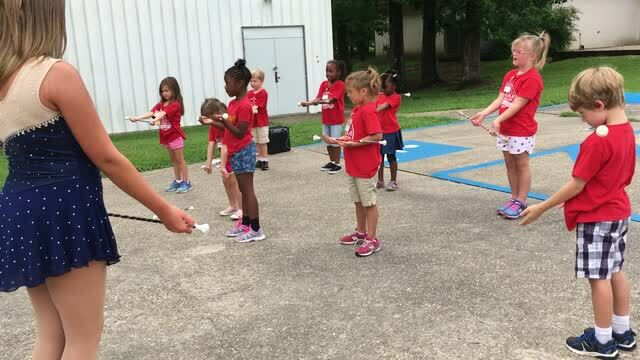 This is my third season to work with them and they are making great strides in their twirling skills. Thank you to Mrs. Holmes for allowing me to work with your students. Thank you to Jennifer LaFrance Meyer for giving me the opportunity to work with her school twirlers. It is so amazing to see groups this size. They are amazing young ladies and I know that they will have an amazing football season! This Savannah Arnett- She is the feature twirler for Silliman Academy in Clinton, Louisiana. We are so excited to be working with Savannah again this season. Be sure to check out her halftime performances this football season. Savannah is an 11th grader this year. Sarah Israel is an 8th grade student at Central Private School. This will be her second season to serve as the feature twirler for her school. Not only will she be performing at home games, but this year she will travel with her team to perform at away games. Sarah has been working very hard to sharpen her skills. In April 2017, Sarah was crowned the Beginner 10-12 Louisiana State Miss Majorette Winner. We are so proud of her accomplishments! Be sure to watch for her at the Central Private football games. Say hello to Jordan and Macy. These two fine young ladies are so excited to be twirling for their middle school- Northwestern Middle School in Zachary, Louisiana. Both of these ladies have been working all summer long and are so excited to perform for their school. 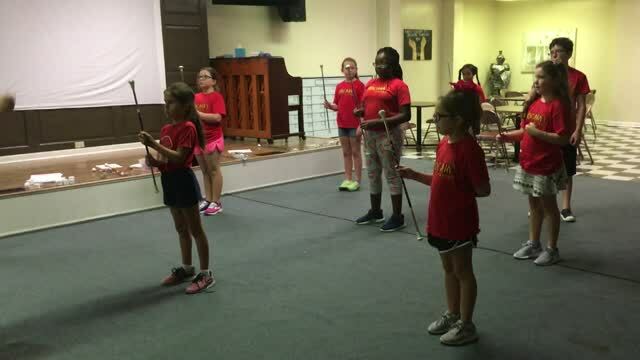 I am so honored to work with them as well as their school to help promote baton twirling. These members of Denham Springs Junior High Color Guard have all grown up now. I was so honored to work with them in their school setting. We also competed in the Louisiana Color Guard Circuit in the Junior High Division. 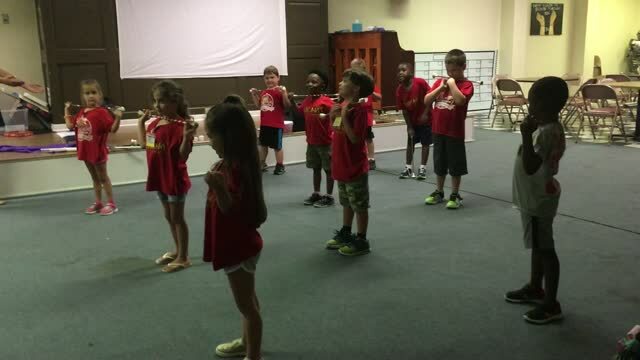 This is another group of members from Lil Bit NRG. Diamonds are a girls best friend. Again with the choreographer and guard specialist Robb Tyler and Amber Harris, these girls enjoyed competing in Louisiana in the Winterguard Circuit and most of them went on to become members of their high school and college guard groups. In the past I have been so honored to work with my young independent color guard grown Lil Bit NRG. Along with choreographer and guard specialist Robb Tyler, these girls had the privilege to travel and perform in Louisiana as well as Texas Winterguard Circuit. These girls are all grown up now. But this was an amazing opportunity as well as an amazing group of young ladies! This is just a small group of young ladies that I have had the privilege to teach in the past. 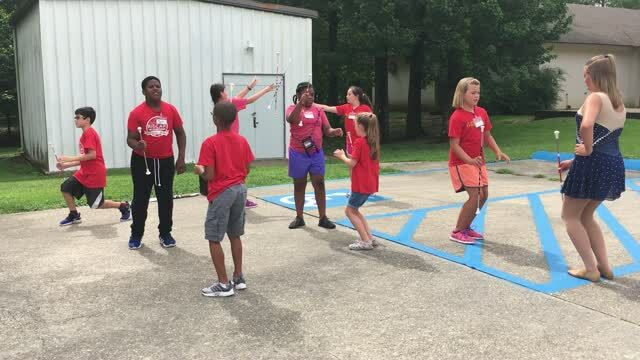 This group know as All-Star Twirl and Dance was located in Walker, Louisiana. I operated a studio in the Livingston Parish area for some 15 years. These girls grew up to become role models and beautiful young ladies! XSNRG was an Independent Guard under the direction of Susan Mills Jullens and Robb Tyler. These very talented group of students traveled and competed in the state of Louisiana as well as Texas and even traveled to San Diego to compete in the WGI competition in 2004. 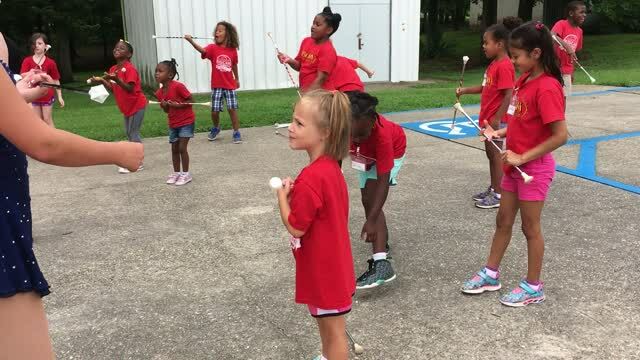 We want you to join our organization as we work to promote the sport of baton twirling and color guard in Louisiana. Our prices can't be beat! Email [email protected] or [email protected] for more information! Let us make a champion out of your student! We can now accept your credit card and debit cards. We can process your payment through our Square option, Venmo, or PayPal. Many options to make your payments easier. We also accept payments of checks and cash. We are here for you!